I was totally confuse with the update . I have a printer repair site and a famous technical printer support site on wordpress. At the release of update it totally messed up the site especially my canon offline support page . Now that i am familiar with the update it is all working perfectly fine. 1. I have gutenberg plugin Version 4.9.0 installed but not activated. 2. I have mClassic Editor Plugin installed and activated. 2. Still using Classic editor and WP Bakery to develop and maintain my site. How do I test Gutenberg in the Staging site? – Do I deactivate the Classic editor plugin and activate the Gutenberg plugin? – Or – just deactivate the classic editor and the Native Gutenberg editor will become the default operational editor? Still confused about how and why I should switch to the new Gutenberg editor. If I have a site working well and using WP Bakery Page Builder and Classic Editor. My site is only pages – not a blog. I have set up a duplicate staging site on my Go Daddy host to test the new editor. I have the latest version of WP installed on Go Daddy Managed WordPress. 1. What do I have to do on the Staging site to try out the new editor? 2. Is this a smart way to test the new editor? 3. If I’m content with the existing editor and using Page Builder…WHY should I consider changing? I agree with you! The initial release was a bit scary, all of our client’s sites were not working properly but looks like everything is working nicely now! Joost, thank you for the update. Will be upgrading to 5.0.3. I was actually waiting for a heads up from the Yoast team regarding this issue. We take your advice very seriously. This is good news. I have been using the Classic Editor but would love to finally switch over to Gutenburg. thats really brave of you:) . We at Jasmine Trails rely a lot on Joosts’ advice and will upgrade to 5.0.3, now. But I am still not confident of Gutenberg. Maybe the reviews on WP itself have colored my vision a tad.. It seems when I use Gutenberg that Yoast blocks part of the post. I can’t seem to move it out of the way. I would like to use Gutenberg since it came with the WordPress upgrade, but so far I’m not happy with it. With the classic editor the SEO blocks kept moving down out of the way of the post. Hey Sheriena, yes the meta box can be really annoying, I find that too. We’re working hard to make it possible to remove the meta box entirely and move Yoast entirely to the sidebar. Guess I’ll have to find a replacement for Yoast if you guys are gonna abandon 4.9 eventually. The block editor is atrocious, unneeded if you just do long form writing, and foists the excreble React.js on the site. I’ve been a longtime customer, but I’ll be avoiding Gutenberg at all costs, be it sticking with 4.9 forever or switching to ClassicPress or some other no-Gutenberg fork. I’m sorry to hear you don’t like the block editor, but I’m also going to be honest: you’re not alone. But we’re not abandoning you at all. If you install the Classic Editor plugin, you’ll keep the same editing environment, and we’ve said that we’ll keep Yoast SEO working with the Classic Editor for at least two years. If by then there’s still a meaningful group of people that doesn’t want to use the block editor, we’ll keep maintaining it. Following your advice, I have not updated so far. Now the time has come! I’ve been updating all along and made sure the Classic Editor is in place on all my sites. Gutenberg is terrible for posts. It took more time for me to get a simple post up, and get it tweaked to suit my needs, than it did to write the post in Word, copy and paste, then insert the pictures. I can see it working for pages, where you have unique layouts, but for blogs it’s a waste of my time. Yoast, as usual, is an excellent plugin, and I appreciated the recent post on the correct use of Alt and Title tags. But you should keep in mind that a lot of WordPress was meant for people who are not programmers and who cannot devote hours per week to maintaining their sites. I’m up to date with the latest WordPress 5.0.3. Regardless of what I do, which browser or which OS I use, I am still seeing Gutenberg hanging up, saying “Saving” continuously when I try and preview a page. Tried switching off likely plugins, but I’ll stick with the classic editor for now, until it either corrects itself or I have time to debug it. sounds like a plugin is conflicting with Gutenberg. Any plugins that haven’t been updated recently? Might be good to test. I told you Joost that Gutenberg was ready for prime time. I said that because we have been using it for months before launch. Your skepticism was not warranted. Glad to see you’ve FINALLY realized it is a great Editor! I left it until now, as you suggested, and am pretty happy with the Gutenberg experience. I’ll now roll it out to other sites. I’ve upgraded to 5.0 on launch for all but a few client sites, as well as my own. I have no problems with it, and shall look at updating my clients’ sites soon. 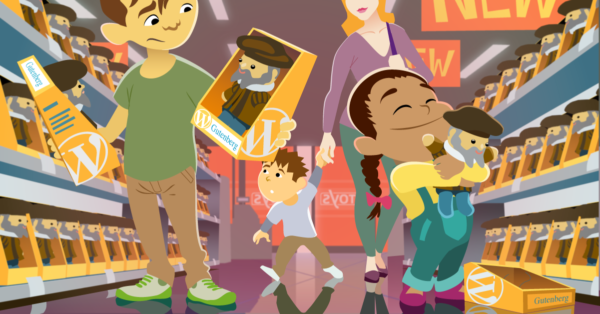 Do you know if Yoast is compatible with ClassicPress, the fork of WordPress without Gutenberg? I may have a client in mind that would use ClassicPress over WordPress, so just want to know if there will be issues with Yoast and ClassicPress specifically. I haven’t seen them do things yet that would break Yoast with ClassicPress. There is still one problem with Gutenberg in my humble opinion: to add a no-follow tag to affilliatelinks, a very important rule for Google, you have to add that code manually in the source. A plugin as NoTitle-No-Follow does not work in Gutenberg. Yeah we’re working on a patch to allow adding attributes to links for Gutenberg itself, and will then add this functionality to Yoast SEO. Completely agree. Being able to add a nofollow tag to links is essential for most of my clients… and most of them are not HTML-savvy, so they’re not comfortable adding the link manually. Unless something’s changed in the last week or two, it’s still not even possible for a plugin to hook into the block editor to edit a link and add the nofollow tag. It’s a bummer that something as seemingly-simple as this is a dealbreaker… Hopefully a solution will be developed for this soon! I am using Gutenberg right now but it is a little complicated. There is no justify, underline etc. Is there any possible way that the Yoast team can request the Gutenberg team to add those add-ons on their next update ;-). I hope they will at least listen to you guys. 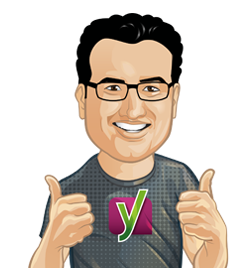 Since i created my first blog, Yoast has always been my number choice for my self and client as well. Thanks a lot for providing such a great Plugin. So disappointed that you decided to go with Gutenberg. Do you even use it? It is NOT user-friendly. Thanks for throwing an awful update to your loyal WordPress users. There’s a reason why we kept trying to go back to the classic editor. Next blog post idea for you: How to remove Gutenberg. we’re not throwing anything at anyone. If you don’t like the block editor, you should really feel free to install the Classic Editor plugin and use that, as said above, we’ll maintain support for that for at least two years.